With the release of Windows 8.1 next week will come new tablets with Intel’s latest Atom chip code-named Bay Trail. The tablets, with starting prices from $299 to $350, include Dell’s Venue 8 Pro, Toshiba’s Encore, and Asustek’s Transformer Book T100. More models will ship in the coming months. The tablets are for web browsing and media consumption, much like the iPad, and offer more than eight hours of battery life with screen sizes starting at 8 inches. Accessories like keyboards can turn these devices into laptops, and the tablets will run existing Windows 7 and 8 applications. The new Windows 8.1 tablets are lighter and thinner than previous Windows 8 tablets that started shipping last year. An alternative to Bay Trail tablets will be Microsoft’s Surface 2, whose ARM processor is expected to be comparable or even better on battery life than Bay Trail tablets. The Bay Trail tablets should not be confused with the more expensive tablets like Surface Pro 2, which are considered PC replacements and run on Intel’s fourth-generation Core processors code-named Haswell. Those processors are faster but more power hungry. 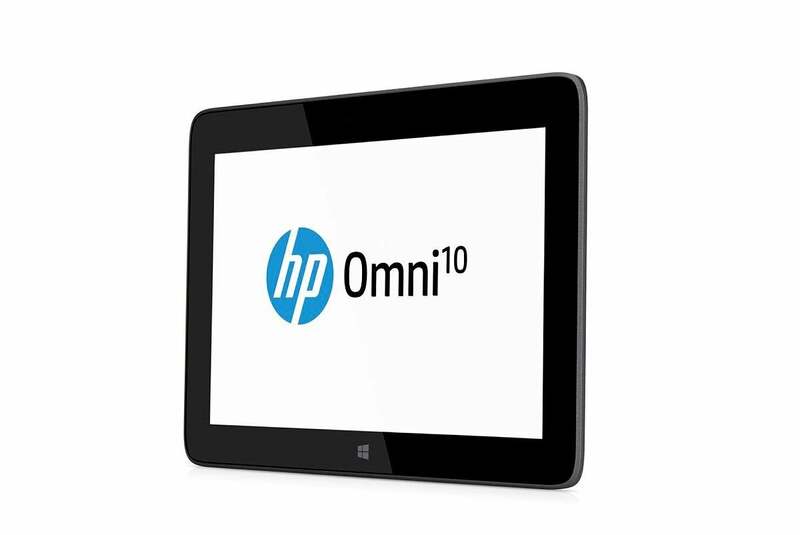 The initial batch of Bay Trail tablets will have processors with up to four cores and 32-bit versions of Windows 8.1. Software issues have prevented the immediate release of 64-bit Windows 8.1 Bay Trail tablets, but they should come early next year. Toshiba’s Encore (also shown at top) was the first tablet announced with Windows 8.1 and Bay Trail. The tablet has an 8-inch screen, weighs about 17 ounces and is 0.4 inches thick. The screen displays images at a resolution of 1280 by 800 pixels, and the company says the tablet is good for Skype videoconferencing with features that include dual-array microphones. Toshiba hasn’t measured battery life yet, but Intel claims Bay Trail tablets will offer more than eight hours of run time and weeks of standby. 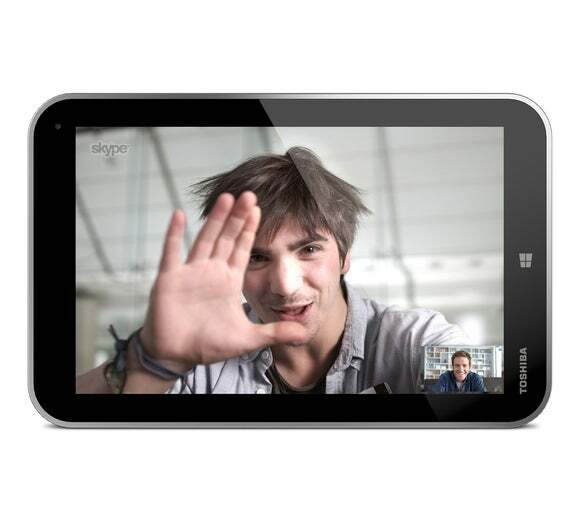 The tablet has an 8-megapixel back camera and a 2-megapixel front camera. Other features include Micro USB 2.0, Micro HDMI, and MicroSD slots. The tablet also comes with Office Home and Student 2013. Encore starts at $329.99 with 32GB of storage, though the Windows OS will take up a large chunk of the storage. It will be available in November through Toshiba’s website and retail stores. Another 8-inch tablet is Dell’s Venue 8 Pro, and it felt similar to Toshiba’s Encore during a short hands-on test. It has a screen with a resolution of 1280 by 800 pixels and is 0.35 inches thick. Dell claims the device weighs about 14 ounces, although it felt heavier. The tablet starts at $299.99 with 32GB of storage, but Toshiba’s tablet trumps the Venue 8 Pro on features. The Venue has a 1.2-megapixel front camera and 5-megapixel back camera, and a Micro USB 2.0 and MicroSD slots. The tablet has a unique feature with LTE connectivity in the U.S. and 3G in other countries. Dell expects the tablet to start shipping in November, and will sell optional keyboard, case and stylus accessories for the device. Compared to other Bay Trail tablets, the Asus Transformer Book T100 is bigger with a 10.1-inch screen, and heavier at a little more than 19 ounces. Asus claims the tablet offers 11 hours of battery life, which should beat the 8-inch rivals with smaller batteries. 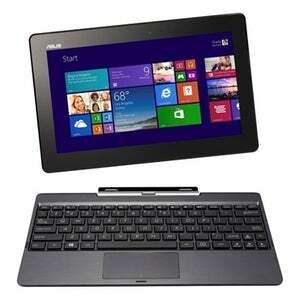 The T100 will be sold as a tablet, but come with a detachable keyboard for laptop functionality. As a laptop, the T100 weighs just under 2.5 pounds. The T100 is priced at $349 with 32GB of storage, and $399 for 64GB of storage. The screen displays images at a resolution of 1366 x 768 pixels, and the other features include MicroSD card and Micro USB 2.0 ports. The bundled keyboard has a USB 3.0 port. According to Amazon.com, the tablet will start shipping on Oct. 18. Rounding out the Bay Trail tablet list is Hewlett-Packard’s Omni, which has a 10.1-inch screen that can display images at a resolution of 1920 by 1200 pixels. That is the best screen among Bay Trail tablets so far. HP is claiming a nine-hour battery life, and the company is offering accessories such as a charging dock and Bluetooth keyboard with the device. It will become available in November, and the company has not announced prices. But with the high-resolution screen, you should expect it to be priced above $400.